Sometimes, despite everything that you’ve done to prevent it, a hamster can find their way out of their cage or hamster ball. 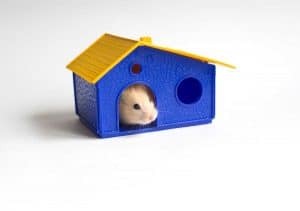 Considering how many potential dangers lurk around the average home that could compromise your hamster’s safety, you might become panicked. Don’t fly into a frenzy just yet! We’ve gathered the best tips and techniques to help you get your hammy back to where he or she belongs. 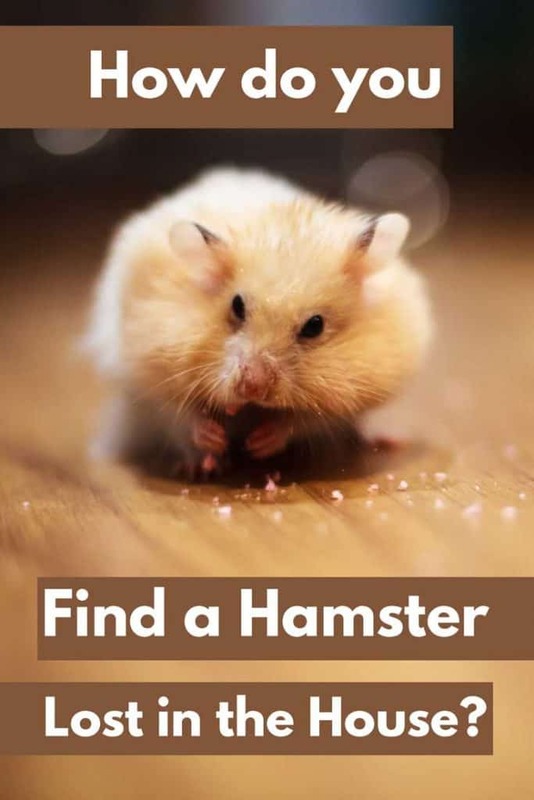 You can get your lost hamster back to you by checking the typical hamster hiding spots, checking for trails of droppings or food, and – if all else fails – setting up bucket traps throughout the home. 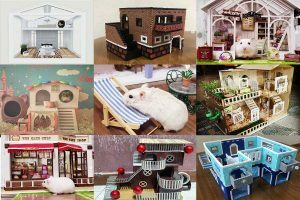 Hamsters are small and energetic creatures that may be hard to locate when in the landscape of your house or apartment. But this does not mean that they cannot be found. We know that this sounds like a daunting task, but once you know what to look for it really doesn’t have to be so challenging. Continue reading to see what we have learned about locating crafty hamsters who have escaped on their owners. At the first opportunity, your hamster could bolt through an open door. If they have the ability to access a window, they could find their way out that way, or worse, fall out and hurt themselves. Finding a hamster that’s escaped your home entirely is significantly more difficult, so make sure that your doors and windows are firmly shut. If yours is a dwarf hamster or if there are sizeable gaps under your doors, block them off with a piece of wood or a towel. You’d be surprised at how easily a hamster can slip in through even the most impossible-seeming of door gaps. Behind or under any other large furniture. Hamsters can get in through narrow holes or gaps. You could find your hamster in the most unlikely of places! During your search of the home, it is best to turn off televisions, radios and other noisy interrupters. This way, you can hear any scratching or squeaking that will give away your hamster’s location. Also, consider whether you have bags or boxes of any type lying around that they could get into. Hamsters are likely to become afraid when they are outside of their usual habitat and will want to find a great hiding spot. This helps to keep them safe but doesn’t make it any easier to find them. Hamsters will go potty whenever they have to, and that could include leaving some droppings in their wake on the way to their hiding place. Because hamsters will often stuff food into their cheeks, it is also worthwhile to be on the lookout for trails of food. They might drop food where they feel it is safe to do so. You may end up finding food in the common hamster hiding areas that we listed in the section above. If you have an idea as to where your hamster may be hiding, you could try laying down some treats for them to find. If the treats disappear – and aren’t eaten by another pet of yours – then you know you are on the right track! You can also try sprinkling a small amount of flour around the treats. This is a simple but effective way to track your hamster once they have picked up their food and walked off. The flour will stick to their paws and make it easier for you to locate where they’ve gone after getting the treats. You might be better off listening for your hamster over searching for them with your eyes. Of course, hamsters aren’t the loudest creatures, so you may need a little help. Place some sheets of tinfoil around the house, especially under doors and in corners. It wouldn’t hurt to lay some down under dressers and bookcases, too. If your hamster is hiding in any of these places at any time, you will hear the telltale rustling of the foil. So, you’ve got all of your tricks and searching methods down to a science. But what are you to do when it comes time to actually capturing your little escapee? If you simply try to lunge at them to grab them with your hands, you’ll likely miss – as you know, hamsters are very fast! The point is to avoid harming the hamster while making their second escape impossible. The bin should be deep enough that they cannot climb back out once inside. If you are worried that the only bins you have on-hand are too deep and could cause harm, place some bedding or a towel on the bottom. This will keep them safe from harm. You might want to try your hand at simply leaving an open cage near their hiding space before going with a bucket trap. This could work if you know where your hamster is but cannot reach them. Place some tantalizing treats inside the cage, leave the door open, and observe. They might come in on their own, meaning that you don’t have to resort to trapping him or her. When your hamster has been returned to their normal enclosure, they will likely be rattled by their experience. Hamsters are easily stressed out, so it’s best to keep this in mind when handling them after their escape has been foiled. Make sure to return them to a clean cage that has ample food and water for them. For a few days, try to minimize how much you handle them. Unless it’s absolutely necessary, like removing soiled bedding from the cage, try to avoid it completely. Hamsters need rest and relaxation after such daring actions. Prevention is the Key to Stopping Escapes! Once you have gotten your hammy back where he or she belongs, it’s a good idea to figure out how they escaped in the first place. Inspect their cage. Is the latch or lid loose? Is there something inside the cage that they could have used to climb out? Are the bars too far apart for a tiny dwarf hamster? Do a thorough visual inspection of their cage and consider replacing one or more problematic parts, or even the cage entirely, if you’ve identified the problem. If you allow your hamster to run around the house in a hamster ball, check out the toy before you let them use it again. Some models have lids that pop off pretty easily. 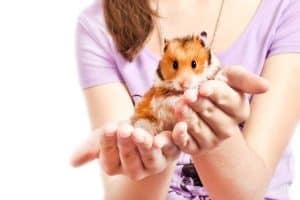 It’s not uncommon for inexperienced hamster owners, like children, to have their hamsters bail on them when they take them out of their cage. All handling of hamsters should be under the supervision of an adult, especially when outside of the cage. It’s all too easy for playtime to turn into a search for a missing hamster. Even the most careful of hamster owners have experienced this, so don’t feel bad if it happens to you! Hamsters are crafty animals that will take any bid for escape when it presents itself. The best thing that you can do is to practice preventative measures and make sure that their cages are in perfect working order. Even then, an escape can happen. Use the information above to help your hamster find their way back home. Don’t panic!